► Bronze Series tournament for Tier IX-X vehicles. The best teams of the tournament will receive Tickets for the Tier IX–X Silver Series. Tournament days and start time: Tuesday, Thursday at 7:00 PM (UTC -7) and Saturday at 3:00 PM (UTC -7). Maximum number of teams: 256. Battle mode: Single Elimination, Supremacy. Play-off (Single Elimination) — 256 teams, 8 in every group. Battle format—Bo3. October-November: Desert Sands, Mayan Ruins, Fort Despair, Winter Malinovka, Castilla, Canal, Himmelsdorf, Naval Frontier. Every battle is played on one map with changing starting position. December-January: Desert Sands, Mayan Ruins, Fort Despair, Canyon, Castilla, Port Bay, Canal, Himmelsdorf. Every battle is played on one map with changing starting position. Within the group consisting of 8 teams, players battle in the Bo3 format (until 2 victories are scored) according to the Single Elimination system. Total groups: 32. 1/4 — 7:00 PM (UTC -7). 1/2 — 7:30 PM (UTC -7). Finals — 8:00 PM (UTC -7). 1/4 — 3:00 PM (UTC -7). 1/2 — 3:30 PM (UTC -7). Battle for 3rd place — 4:00 PM (UTC -7). Finals — 4:00 (UTC -7). First place in the group — a Silver Series IX-X Ticket for each team member, 7 200,000 credits, 24 special Crew XP boosters, and 24 special Combat XP boosters, 16 000 spare parts for team. Second place in the group — a Silver Series IX-X Ticket for each team member, 3 200,000 credits, 8 000 spare parts for team. Third place in the group — a Silver Series IX-X Ticket for each team member, 2 000,000 credits, 5 600 spare parts for team. Fourth place in the group — 2 000,000 credits, 5 600 spare parts for team. We are having troubles inviting people. There invites are not going through. We have tried all the previously known methods - restarting the game client for team captain and the invited players, leaving the clan and rejoining - and none of them work. There are, incidentally, also no notifications. Officers do not get them when people leave the clan and I went from clanless to officer without receiving any status change notifications or having clan tags appear. I had to restart my client to see the change in status. Edited by mike82198, 17 July 2017 - 01:54 PM. Please make your attention on important announcement. For this tournament and future ones, what happens if there are too few participating teams? Will the tourney simply not happen and if so, do teams that did sign up get the prize for free or walk away with nothing and miss the chance to have signed up in a different tourney and win prizes. The current issue this system faces is that the same teams continue to sign up for bronze tournaments because no one can beat them, therefore no one wins silver tickets except for the same circle of clans and no one can advance to the silver league. If there are no one clans to fight in silver why sign up for it if it will never run. Might as well continue to get prizes and win tickets in bronze. There should be a system in place to allow more teams to move up to further leagues, or at the very least... create a second league for winners only of previous tournaments that is simply a "for profit" tourney and has nothing to do with the league system so other clans can earn money while not removing all the Silver tickets from that are available. To create bracket we need at least teams for 1 group (8 teams for Bronze / Silver series). If amount of registered teams is lower than 8 - tournament will be cancelled. Do you have a concrete ideas how to improve system? My main question was whether or not teams get the prize if the tourney is cancelled. My clan can not sign up for the current Tier 10 bronze and Silver tourney at the same time. We WANT to do Silver but there are 2 teams registered with less than 2 hours to registration ends. If 5 more teams dont show up will it be a waste of our time or do we get the prizes. Should we just sign up for bronze instead? Furthermore, my idea may not be perfect but it is just as I said. Simply make a coherent tournament that runs at the same time as regular tournaments but is for those who won a ____ league tournament at ____ tier and wish to sign up for the same one next time because the subsequent Tourney has no participants like my current situation above. This will stop certain clans from playing the same league multiple times and slowing down the process of teams moving to the next league. The new tournament will have to contain prizes as good or better than the regular tournaments though, or it wont change anything, clans would just resort to regular tournaments for better prizes. Just a thought. Edited by CK_GoldenNuggets, 20 July 2017 - 01:39 PM. If tournament cancelled - teams do not receive prizes but tickets will be given back to players. It might have been nice to not lie in the tournament descriptions for 11/7/2017 where it was stated that the tournament would start at 6PM (PT) The tournaments started at 5PM (PT) since Pacific Time in the U.S. is on Daylight Saving Time. Maybe it should have specified PST so everyone would know that the listed time was Pacific Standard Time. Almost none of our clan showed so really thanks for that. And don't give me any nonsense about the countdown timer being accurate. Nobody who has to work checks that. We had people getting off work West Coast at 5PM PT (when the tournament actually started). I guess we cannot expect Russia to understand how time zones work in the United States. While I get what you are saying. You also don’t need to be an [edited]about it. Most likely caused by daylight savings time, why do you feel the need to berate people? Does it make your E-Peen get hard or something? Reporting: there are issues for the last hour or so, with managing the Team in Tournament Tab, loads super slow, Team doesn’t display, shows no Tournaments available, this kind of stuff. Did you tried to reload the game? I'm having the same problem on Mac. Games work fine but the entire "tournament" tab doesn't load or loads super slow. Sure, multiple times. Issue still persists. Now also invite to the Tourney lags> Operation not available, try again later. Once in 10 times it works Ok, but other times it would again render Tournament related actions almost unusable. Many in my clan know this problem with the Tournament pages. I don't know anyone in my clan who doesn't have the problem and I know of others not in my clan with the problem. We find messages like No Tournaments are scheduled, No Candidates when trying see team members, Operation Unavailable when sending Team Invites, and other error messages. It is very frustrating when you are trying to form a team. It is nearly impossible now. Like the previous message says it takes as many as 10 clicks to get a function involved with the Tournaments to work. Please fix this as soon as you are able to. I believe many just give up dealing with the Tournament and do not take part in Tournaments now. I reinstalled WoTB and that didn't fix it. Edited by Slackman01, 11 December 2017 - 06:02 AM. What is going on with The tournament pages? It is impossible to open the current Tier 9/10 Bronze tourney invite page without it freezing up and locking up the page. I've had three players tell me they can't accept their invites so I'm trying to Remove them and reinvite them. When I click the players name to remove, it does t remove that person. It removes the person at the bottom of the list.  Then when all the names are gone and I try to remove the last player it gives me the following error message: THIS OPERSTION CANNOT BE COMPLETED AT THIS TIME. Also, when I'm open I g the page my teams showing up with no names u fee accepted and invited. Can you help us here? It's very frustrating. P.S. - My Team Captain for the Tier 6 team is having the same problems. Thanks for your reports. We're already looking for reasons of this issue. 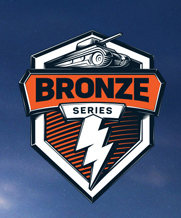 Bronze Series IX-X tournament on Saturday has been canceled, because only 3 teams were registered.